Fleet Feet is a national brand with over 100 stores, but customers had never before had the ability to buy products online. NMC planned, designed, built, and launched a totally new and custom eCommerce website that offers for sale the items carried across the entire national network of the company’s popular retail stores. Our work included helping the brand plan how to tackle this expansive project, creating an attractive, easy-to-use, and brand-consistent visual design as well as developing stable, responsive code that integrates a new shopping cart with Fleet Feet’s existing inventory & point-of-sale systems. To build the new FleetFeetSports.com, NMC took advantage of some of the latest cutting-edge tech: Craft for content management, Shopatron for payment processing & fulfillment, and RICS for POS & inventory management. We first began working with the client’s leadership team in the spring of 2014 to review objectives and technical challenges. The task was not only to build an entirely new eCommerce website for the popular athletic gear retailer — Fleet Feet had never previously sold any of its products online — but to reflect the recent updates in the company’s visual identity. From a visual design perspective, we aimed to reflect the same open, friendly, and warm feeling on the website that you get inside the retail stores. Fleet Feet’s mission to help you “Be the Person You Want to Be” means catering to casual walkers & runners in addition to the specialist needs of high-performance athletes: Sunday joggers as well as Boston marathoners. From a business perspective, the design needed to make it easy to find and purchase exactly the item you’re looking for. Throughout, the new FleetFeetSports.com eschews clutter, gimmicks, and salesmanship — much like you’d find when visiting a retail location. 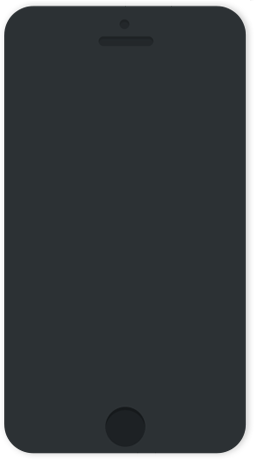 The fly-out “mega menus” present most of the purchasing options without being overwhelming and the “Browse” sidebar makes it easy to drill down to the exact item you’re looking for (see below). We’re especially proud of the lightning-fast search feature, which returns the most relevant results instantly as you type. All the items are indexed across multiple terms, so you can find what you’re looking for using virtually any phrases: search men or women, by type ("shoe"), brand ("nike"), even by color! The new site allows customers to easily browse the brand's enormous inventory of shoes and athletic gear. That’s great for options but an endless aisle makes it hard to choose without the expert help of in-store staff. Retail shops often assemble merchandise in themed displays, windows or aisle end-caps. We wanted to replicate this in-store experience on the new site to make it easy to find the perfect item. NMC built a feature called “Shops”, which are hand-picked lists of best-sellers and staff favorites that you’ll find on the home and product landing pages. They can be organized by theme, such as Visibility at Night, or by brand, so you can deck yourself out in all of Nike’s latest gear. The Shops can be assembled on the back-end in any combination of 1x1, 2x1, or 2x2 squares, as seen here on the home page. They give the Fleet Feet staff the flexibility to display top sellers and customer favorites. Navigating large eCommerce stores can be challenging. You may know you want shoes, but that’s too broad: you have to keep searching for brand, style, size, color, etc. 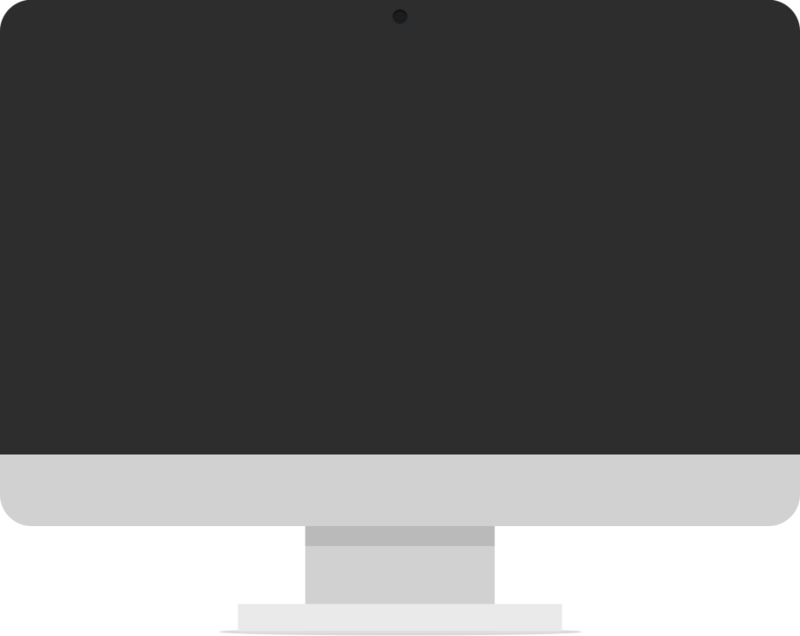 So we created a smart menu bar that remembers your selections as you go: click whichever options matter to you — such as Women’s Nike or Adidas Race shoes, size 7 — and the display returns back your match lickety-split. Also, the search feature gives you live results so you never have to type out the whole product name. That's really helpful especially if the full name is on the tip of your tongue and you need a little help. And while you're looking through the all the options, you'll see that it’s not just this season’s shoes or gear, either: there’s a good chance you’ll find last year’s model. Which is great if you finally fell in love with the perfect shoe but Asics doesn’t offer it in extra-wide any more. Maybe the Carrboro store still has it in stock! Fleet Feet distinguishes itself through its mission of everyday empowerment, commitment to engaging the local community, and extraordinary customer service. 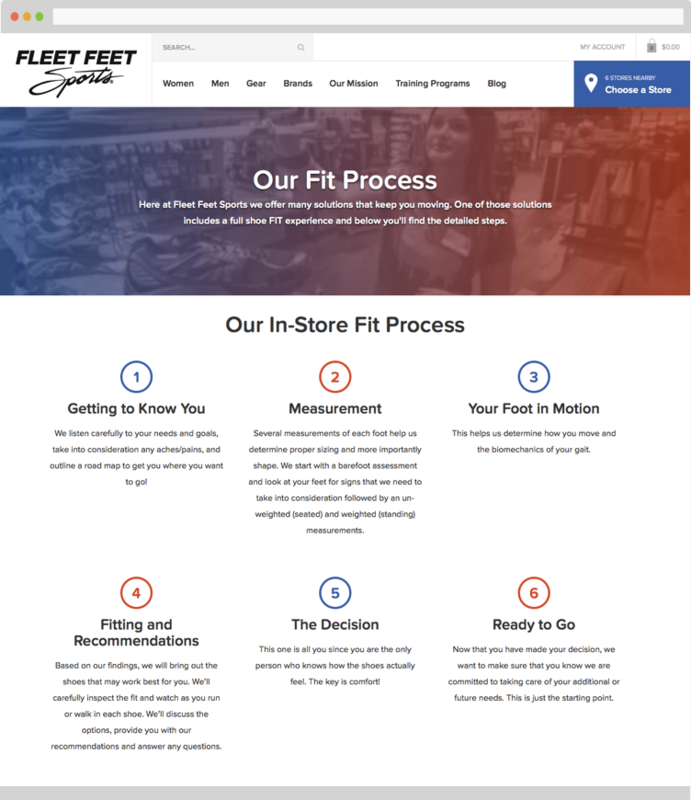 Fleet Feet starts every shoe-purchasing experience with its in-store “Fit Process”: a comprehensive process that measures gait, foot width, arch support, and more in order to pair each customer with the perfect fit. When you create an account, your fit data and purchase history are on file any time you visit a store so staff can pull up your preferences quickly. If you live near a Fleet Feet location — which is easy to find out, using our new automatic Store Locator! — you can participate in any of that location's events or programs. Fleet Feet sponsors training programs for youth and adults; early most Saturday mornings, you’ll find a group stretching outside a local store ready for a community run — whether they bought their shoes and gear there or not. 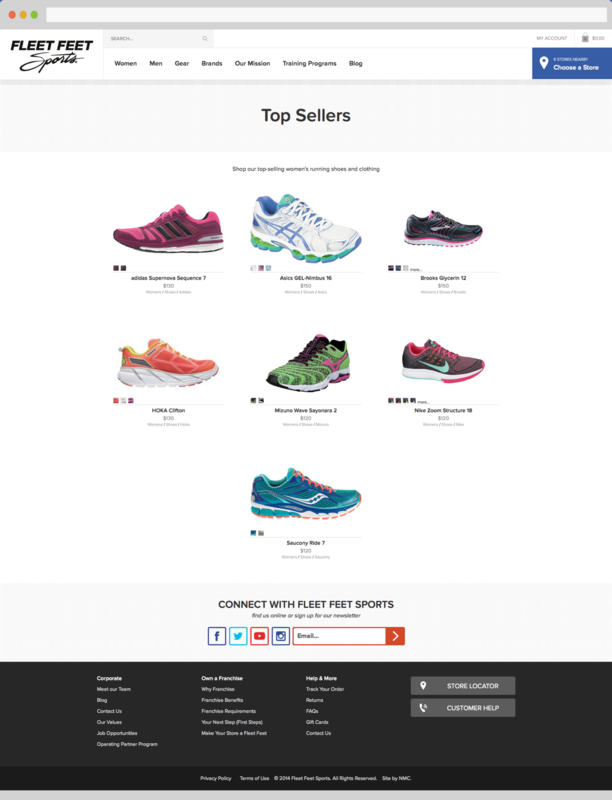 The new FleetFeetSports.com is as sophisticated technically as it is lovely visually. 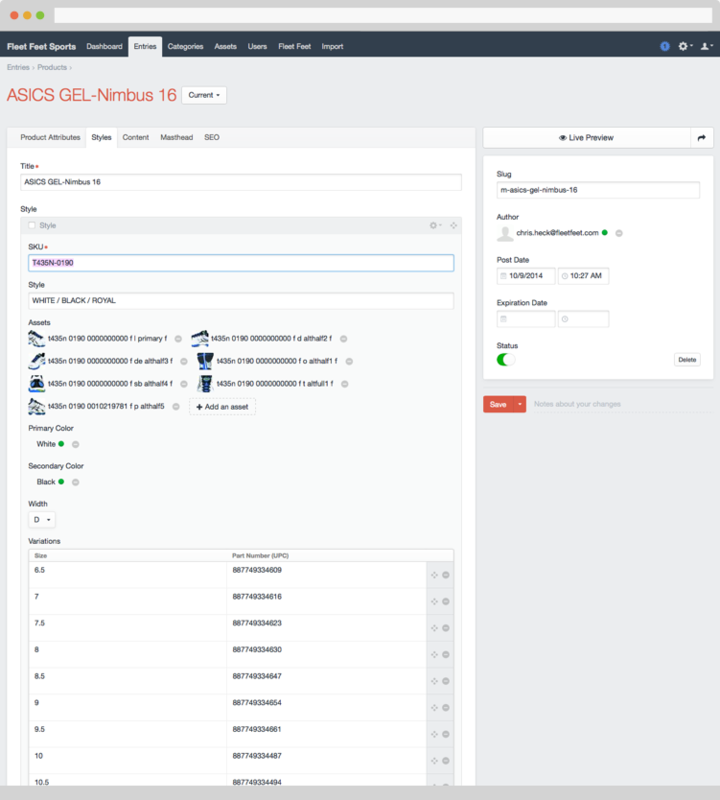 We linked the new site to the company’s inventory management database so that products can be looked up instantly by their SKU and imported to the site with all the data already included. That means site admins don’t have to manually enter the brand, the description, or even the photos: it’s one-click automatic. To manage all the content, we chose Craft CMS for its ease of use, extendability, vibrant community, and active development schedule. For sites with a lot of content — especially lots of different kinds — Craft makes it easy. 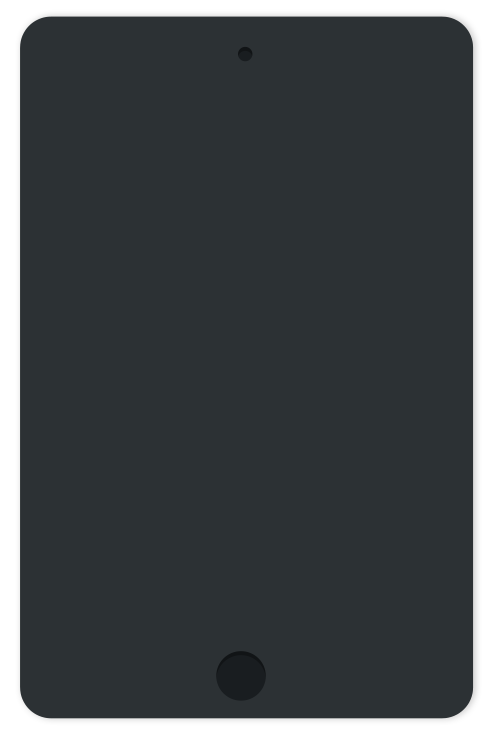 In particular, Craft integrates automatically with Amazon’s Web Services to serve up all the images. Together with a 3rd party caching and re-sizing service that targets multiple devices, we started measuring page load time in the milliseconds. 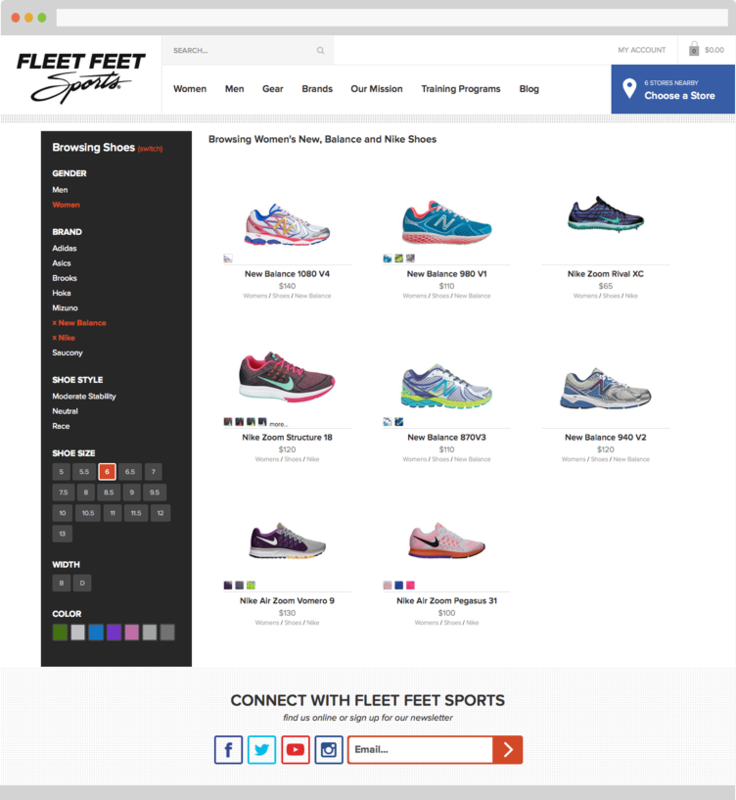 Like every NMC site, we conceived of FleetFeetSports.com from the context of visiting the site from a handheld mobile device. Mobile eCommerce sales continue to increase as people become more comfortable making purchases from a smartphone or tablet so it was important not to short-change experience on small screens. We redesigned the complex browsing menu to fit the space constraints and the same menu options that animate in on the desktop version now zoom in and out with a tap. Fleet Feet Sports has long been a client of NMC. We’ve designed and built nearly all of the company’s individual franchise retail sites, such as FF Sacramento, FF St. Louis, and FF Atlanta. We also did the original website for the corporate headquarters (which this new eCommerce site replaces). When the leadership decided to venture into the eCommerce space, they looked no further than NMC for our proven track record and intimate familiarity with the brand to deliver a best-of-breed website. Few firms combine the depth (technical excellence) and breadth (client relations, content planning, visual and interaction design, and online marketing) to serve such a large, national company with many and diverse web requirements at such a high level. NMC brings its unique strengths in design, development, marketing to its many long-term, retained clients to ensure that their websites and apps always work reliably and perform fast. The result is a new and growing source of revenue for Fleet Feet Sports that brings the Fleet Feet experience to a much larger audience. There’s still plenty to do and our future roadmap is full of ideas for how we can continue to improve the site. We’re immensely proud of the new site — as is Fleet Feet!